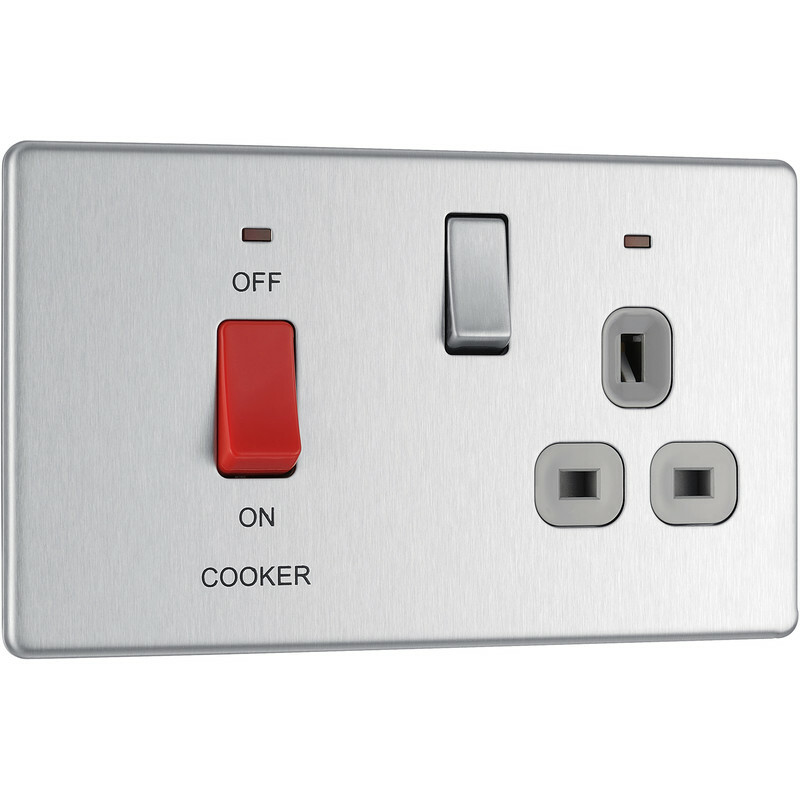 BG Screwless Flat Plate Brushed Stainless Steel 45A DP Switch Switch & Socket & Neons is rated 4.7 out of 5 by 3. Rated 5 out of 5 by Mark 59 from Well made I bought online without seeing it,I bought on price. I have to say that they are far superior to anything I have seen in other shops. I am well pleased. Rated 4 out of 5 by RussW from Good looking clean lines Front facias are really easy to remove when decorating and give a lovely clean look. The only problem I had was finding longer flat headed countersunk screws and the screws provided for light switches were too small for anything. Also if you are fitting to existing backboxes you need to flatten the spare screw fixings as these fill the box.